Vincent, des croquis toujours si beaux et efficaces. Thank you so much, Kumi. 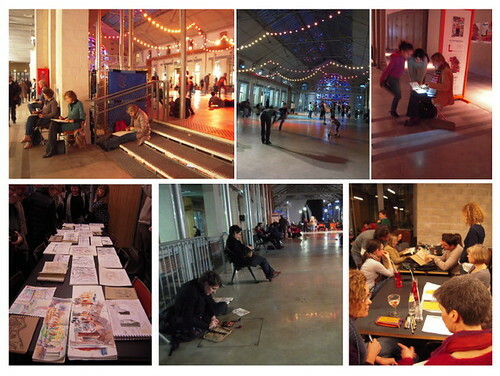 All participants's sketches are also superb. I like much Asakusa, one of my favorite spot in Tokyo. Comme j'aurais aime venir! Mais j'etais au Japon et ai participe a la session de Tokyo, dans le quartier de Asakusa. Thank you all, thank you Carlo for the summary of our day. 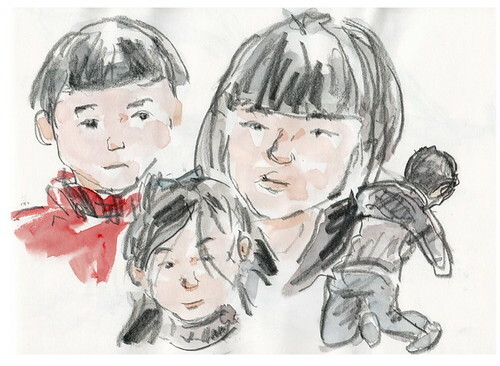 An another sketch from the 21th January in "104" : chinese kids coming to see what I was doing.